Microsoft stepped up its battle with the armada of mobile messaging apps on Tuesday, announcing that Skype users can now send files to each other without the recipient needing to be online. 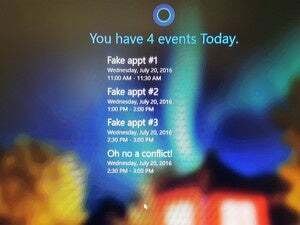 That means a user could tweak a presentation and send it to a colleague over the weekend, and have it waiting for them when they log into Skype on Monday morning. It’s a big improvement over the previous functionality, which required both parties to be online. 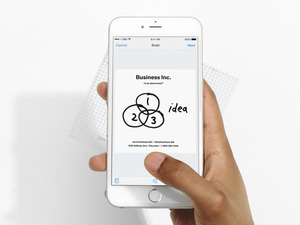 The new approach also lets users access the file across multiple devices, which means they can read the same document on their phone, computer or tablet, without having to request it over and over again. In the age of WhatsApp, Facebook Messenger, WeChat, Line, Telegram and a host of other chat apps, having the ability to share files when people aren’t around (and keep them available across devices) is important. Microsoft is facing massive competition in the video chat and messaging space, and this feature will help the company better keep up with Skype’s newer challengers. The file transfer feature lets users send files up to 300MB in size, which is pretty big. Microsoft says it’s enough to handle most of the files sent through Skype. Anecdotally, it’s plenty of room for videos, audio clips, presentations and documents, unless you’re working with something truly massive. In that case, you’ll have to turn to a storage service. The move may also curb the use by Skype users of third-party cloud storage services such as Dropbox to share files. People who have the latest version of Skype installed should get access to the feature automatically. 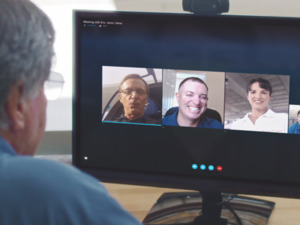 The news comes the same day that Microsoft announced a new Skype Meetings service that’s supposed to help small business users get started with online meetings through its professional grade videoconferencing service for free.